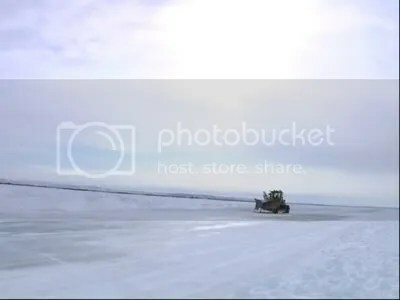 Tuktoyaktuk is the northernmost community on the Canadian mainland and is perhaps best known for being featured in the second season of the TV show, Ice Road Truckers. 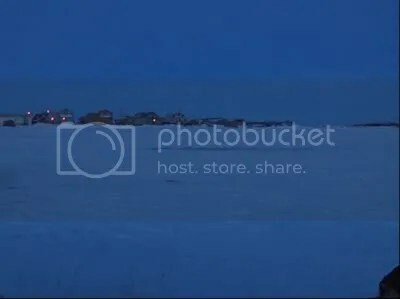 During winter, the best way to reach Tuktoyaktuk, or “Tuk,” is via the ice road, which runs 187 km from Inuvik, over the frozen Mackenzie River and out onto the open Beaufort Sea. There are no regular tarmac roads leading to Tuk. In summertime, the only way to reach the community is by boat or plane. Conditions on the ice road change on a daily basis depending on weather and tides. We encountered ice cracks that were several inches wide and running parallel with the road. We drove over glassy slick ice. Snow covered ice offered the best traction. A few patches of road were covered in several inches of slush and water. These sections gave reason to pause and consider the perils associated with driving on water – that sits on ice – that floats on a river! 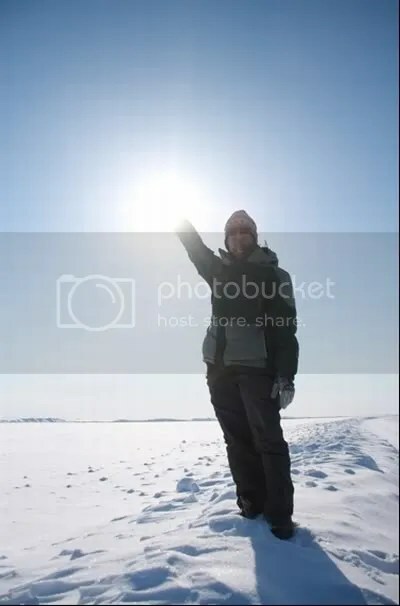 During winter, temperatures plummet to -40° Celsius. There are no trees or hills to block the icy winds. Tuk is surrounded by the endless white expanse of the frozen Beaufort Sea. The people of Tuk offer sharp contrast to the cold winters. They are very welcoming and friendly. 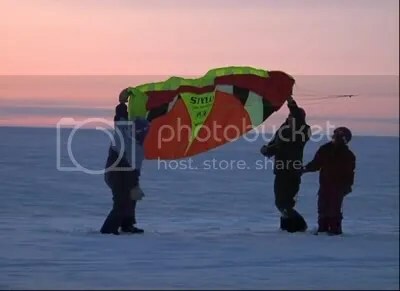 One afternoon, we decided to go out onto the frozen sea and play with a kite. Several young children quickly joined us for a few hours of fun on the ice. Sunset in the arctic lingers for hours. As dusk finally set in, we bid goodnight to the kids. They each ran off to their respective homes. Only then did we notice how late we had kept them out playing. Twilight had not entirely turned to pitch-black night, and already it was 11:30 p.m.! In summer, I am told that everything comes alive. Transformation of the seasons must be breathtaking. We visited Tuk in late April. During this time of year, we gained 8 minutes of sunlight with each passing day. By summer solstice, there will be 24 hours of daylight. The vastness of the landscape and the sometimes-harsh environment make for a strikingly beautiful place that causes the fragility of life to become slightly more apparent. 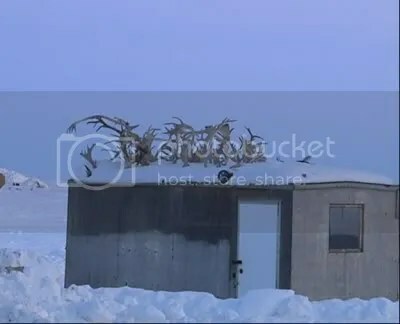 Tuktoyaktuk is the northernmost community on the Canadian mainland and is perhaps best known for being featured in the second season of the TV show, Ice Road Truckers. During winter, the best way to reach Tuktoyaktuk, or “Tuk,” is via the ice road, which runs 187km from Inuvik, over the frozen Mackenzie River and out onto the open Beaufort Sea. There are no regular tarmac roads leading to Tuk. In summertime, the only way to reach the community is by boat or plane. Sunset in the arctic lingers for hours. As dusk finally set in, we bid goodnight to the kids. They each ran off to their respective homes. Only then did we notice how late we had kept them out playing. Twilight had not entirely turned to pitch-black night, and already it was 11:30pm!